This cover really creeped me out back then. Resident Evil 2 was officially announced back in July of 1996 when a video trailer of it was shown at a V’ Jump festival. This version of the game which would later be known as Resident Evil 1.5 got scrapped well into development, due to gameplay and locations being “too dull and boring”. Another reason was also because Mikami had initially intended to end the series with this game but the then head of development Yoshiki Okamoto, thought it was too conclusive and had plans for Resident Evil to be an ongoing franchise. I’ll probably cover more about Resident Evil 1.5 in a future blog post. The first thing that needed to be redone was the scenario, professional screenwriter Noboru Sugimura was initially asked to consult on the scenario but was later hired to compose the entire scenario for Resident Evil 2 after impressing Okamoto. As for overall approach to the game, Kamiya decided to go for a more hollywood approach to presentation in order to attract new fans to meet Capcom’s sales expectation. While this might seem like the overall game had changed significantly, there were still remnants of RE1.5 left such as the characters, enemies and locations. 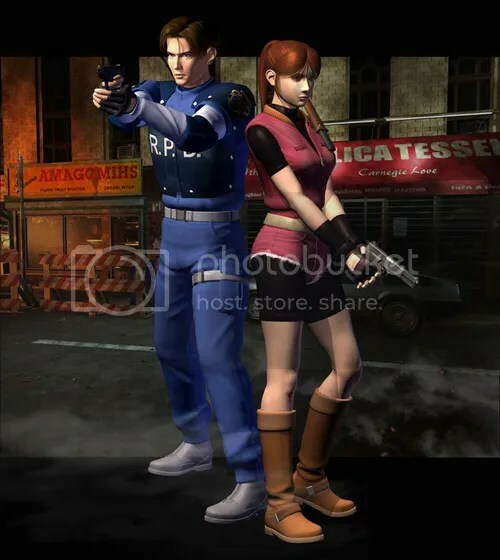 The two protagonists of the game, Leon and Claire. Resident Evil 2 stars Leon Scott Kennedy, a rookie cop that was posted to Raccoon Police Department (RPD) and quite possibly had the worst first day on the job ever. And Claire Redfield, younger sister to first game protagonist Chris Redfield, who is searching for him after hearing news about the happenings of Resident Evil 1. They both headed for Raccoon city at the worst time possible, it was zombie season. One feature that was improved upon the first game was the ability to play as two protagonist with different scenarios. In Resident Evil 1, players had to choose between Chris Redfield or Jill Valentine from the start and they would each have their own scenarios. In Resident Evil 2, this dual protagonist system was dubbed the “Zapping System” but what was different this time was the option of a Side A and a Side B scenario. Finishing Side A would unlock the Side B scenario, this effectively gave RE2 four different stories because you could play Leon Side A and Claire Side B as well as Claire Side A and Leon Side B. Each Scenario had different characters, enemies and locations. This gave the game a decent amount replay-ability, twice more than the first game. 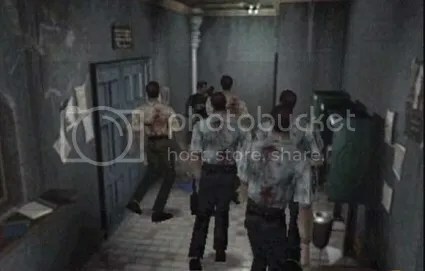 Resident Evil 2 also ramped the number of zombies or enemies in a single area, while RE1 had about at most 3 zombies at any given time, RE2 at times pitted the player against 5-6 zombies at one time. Another new addition that would become a staple to future instalments was the Mr X enemy. In the Side B Scenario, players would be harassed by a tyrant type enemy called Mr X(so 90s). This new enemy type kept players on edge because you never knew when and where he would appear which really added a new dimension of horror to the game. These new additions alongside new locations and enemies really refined the survival horror experience the first game introduced. To be totally cliche, it was bigger, badder and more kickass. 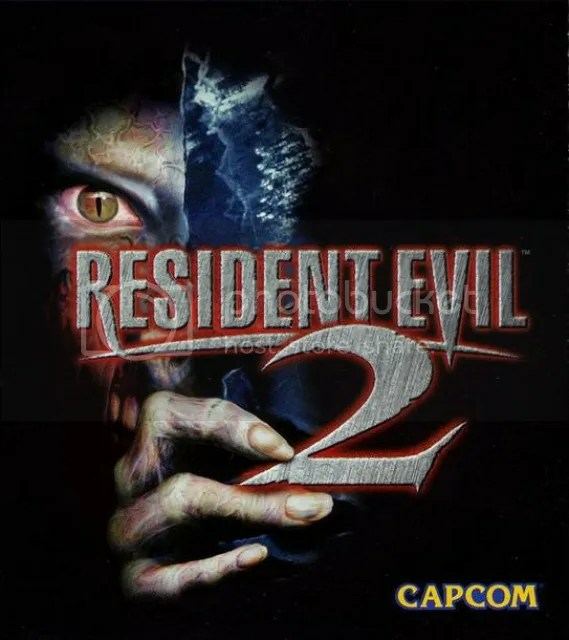 RE2 went on sale January 21st 1998 and eventually went on to sell 4.96 million copies on the PS1 as of June 2013 and is still Capcom’s 3rd best selling game. Capcom clearly has a successful franchise in the making now with two games releasing to commercial and critical success. So what was next for this franchise? And would it be able to improve on RE2 like how RE2 improved on RE1? Fans only needed to wait a year and some to find out.